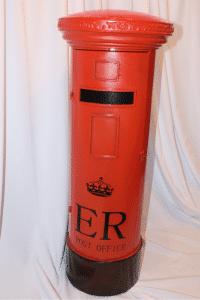 Our postboxes come in Red & Black, White & Silver and Cream and Gold. They are 4ft high and can be locked to keep your cards secure. Much safer than the small table top post boxes.